Perusing Instagram one morning (as you do!) I read someones post about how now it’s summer she’s spending less time in the gym and more time enjoying the outdoors and this really got me thinking?! How could I stay active without sweating buckets every day indoors, at classes or the gym?! So it was a timely opportunity to be able to review a walking tour in London with PlanetPass. It really was as simple as downloading the PlanetPass app and having a scroll through the options before I settled on the Street Art Essentials Tour. With plenty of days and times to choose from, I opted for a late Thursday afternoon after a photography workshop I was attending in the morning. The booking and payment process were clear and easy (I did have to leave the app for a while whilst it confirmed a guide for us) but was notified as soon as that was completed. Our meeting point on the day was in Liverpool Street station where we met our Guide, Fabrizio, carrying the PlanetPass tote bag to identify himself ready to set off on our adventure. 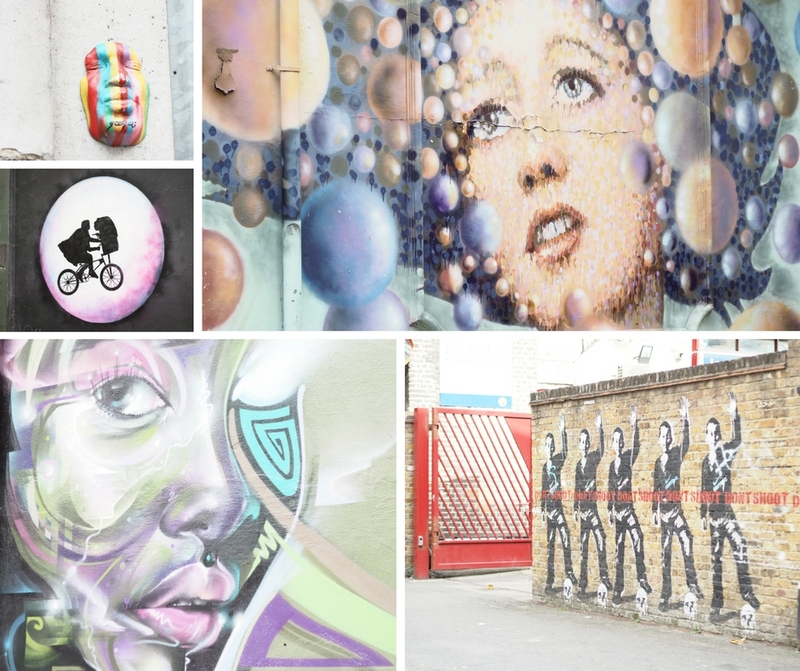 For two and a half hours, we meandered through the streets of East London, taking in works by the likes of Banksy, ROA, Shock, Otto Schade and many more. There was so much to take in and Fabrizio was so knowledgable; even as seasoned Londoners there was plenty to keep us interested. As my friends over at Hey! Dip Your Toes In said, “taking a guided tour of your own city is like taking the back seat in your own car and letting someone else drive”. 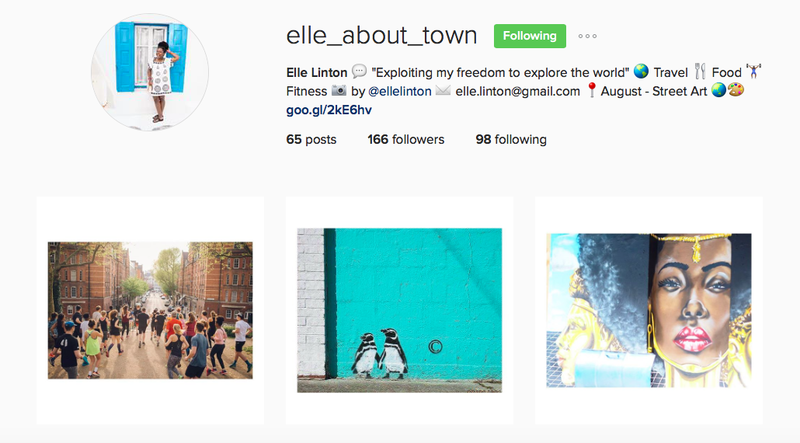 If you do want to see some more of what I saw along with other street art from around the world, check out my travel IG account – Elle_About_Town over the month of August. Considering I did minimal walking before the tour, and not much more after I racked up 17,483 steps on tour day (the recommended goal is 10,000 steps per day) so it certainly was the perfect alternative to the gym! We were famished by the end so retraced a few of our steps back to Brick Lane to treat ourselves to a curry. You can book the tour for just yourself, or take along up to five friends (there were 4 of us, and the puppy) which would help you to spread the cost and make it a little more affordable. 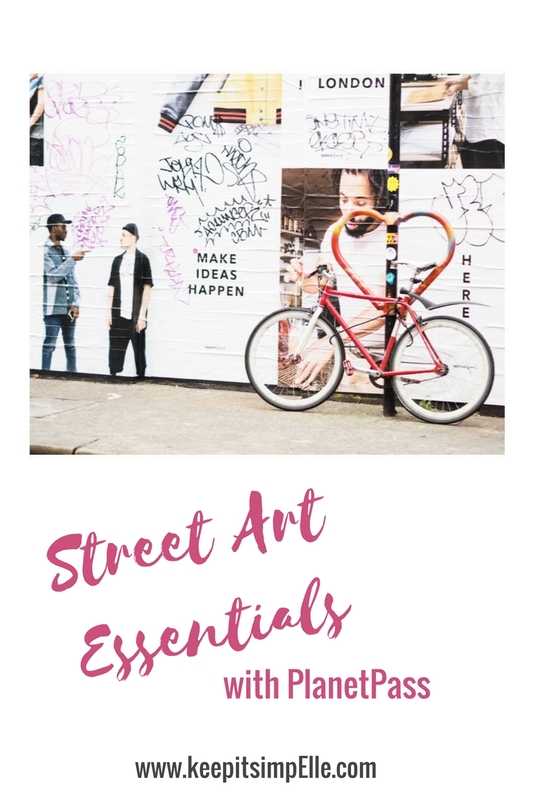 The Street Art Essentials tour costs £109 which includes your personal tour guide. The PlanetPass app is currently only available on IOS so can be downloaded from the App Store. They’ve only recently launched in London but are planning to extend their walking tours to other cities in the near future. Have you ever taken a tour of London?! What’s your favourite thing about London or the one must do thing you have on your list?! All of my photos are taken on the Olympus PEN EPL7* purchased from John Lewis and the 45mm lens purchased from Currys*. Some links are affiliate links which means I will receive a small payment should you purchase, however, it doesn’t affect the cost you pay. That's really cool! I've done a biking tour of D.C. Then there are the segway tours — not so much exercise there! I think I'd love to do a biking tour on the next city I visit! I rode in London this weekend gone and loved it! Got to take in so many sights without having to rush! this seems really cool! how many people can go on the tour? does the price change the more or less people you have? I don't live in London (or England for that matter) but I've been so many times I just don't want to do the regular touristy stuff anymore. So this would actually be a great alternative for the next time I'm over! 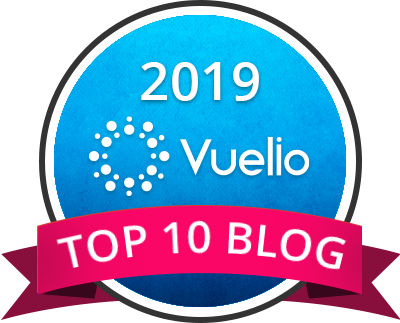 Hi Renee, for this tour, it's a maximum of 6 people – "You can book the tour for just yourself, or take along up to five friends (there were 4 of us, and the puppy) which would help you to spread the cost and make it a little more affordable". The cost remains the same no matter how many people are on the tour. They have a whole host of other tours (foodie tours, pokemon tours etc) so download the app and check them out for you next visit! sorry I missed the up to five friends bit! Totally love the street art in that part of the London, it's some of the best in the city! We've always wanted to do a tour in that area because I'm sure the guides know about all of the secret hideaway spots that house some really cool pieces that might not be as visible as some of the others. Love your photos! Thanks guys 🙂 …London has so many secrets…I don't think we will ever discover them all! It certainly is! I'm looking forward to going on waking tours now in cities that I don't live in / have never visited before!